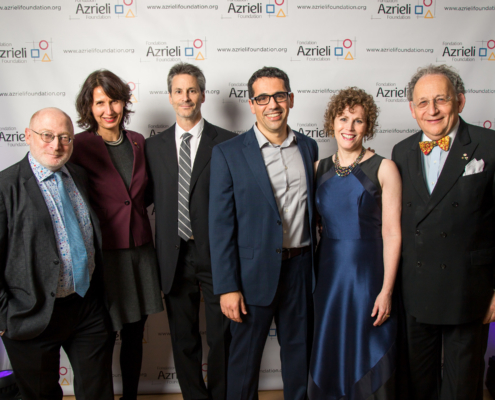 Established in 2014 by the Azrieli Foundation, the Azrieli Music Prizes (AMP) offer opportunities for the discovery, creation, performance and celebration of excellence in music composition. The Azrieli Prize for Jewish Music is awarded to a composer who has written the best new major work of Jewish music. Eligible works may have been premiered within ten years of the award date, but must not have a significant performance history, and must not have been commercially recorded. The Azrieli Commission for Jewish Music is awarded to encourage composers to creatively and critically engage with the question “What is Jewish music?”. This prize is given to the composer who proposes a response to this question in the shape of a musical work that displays the utmost creativity, artistry and musical excellence. 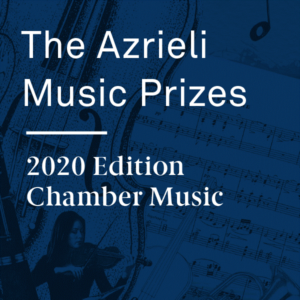 Starting with the 2020 edition, AMP has added a third prize – the Azrieli Commission for Canadian Music. 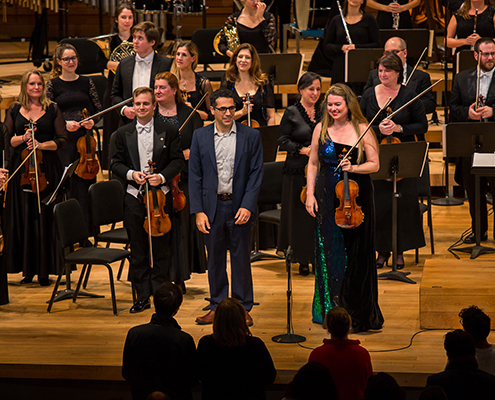 This prize is offered to a Canadian composer to create a new musical work that creatively and critically engages with the challenges of composing concert music in Canada today. All three winning composers are expected to attend the rehearsals, performances and recording of their prize-winning works, and will be publicly honoured at the AMP Gala Concert, which will take place in Montreal every two years. 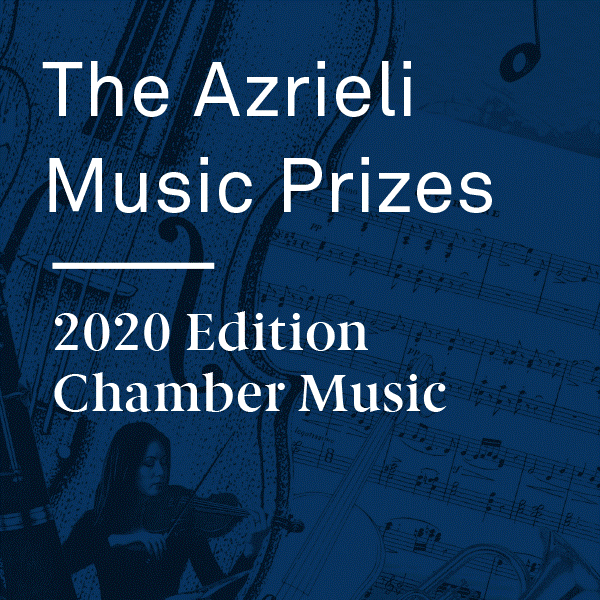 Open to the international music community, The Azrieli Prize for Jewish Music is awarded biennially through a competitive process to a composer who has written the best new major work of Jewish music. Eligible works may have been premiered within the past ten years, but must not have a significant performance history, and must not have been commercially recorded. 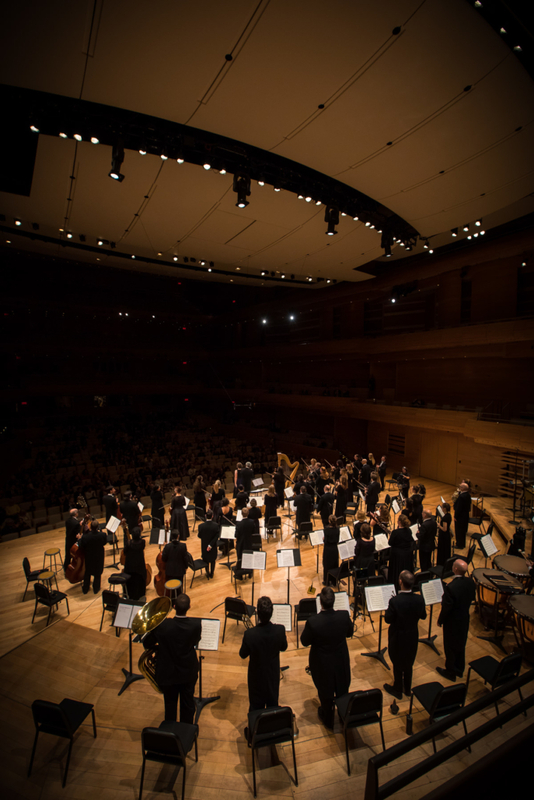 The Azrieli Commission for Canadian Music is open to all composers of Candian citizenship or permanent residency with the aim of encouraging creative and critical engagement with the challenges of composing Canadian concert music. 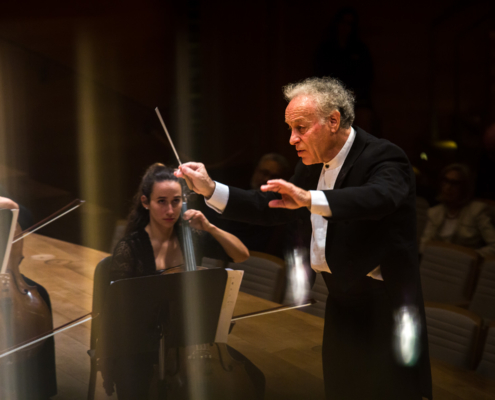 The Azrieli Music Prizes have been offered biennially since 2014. 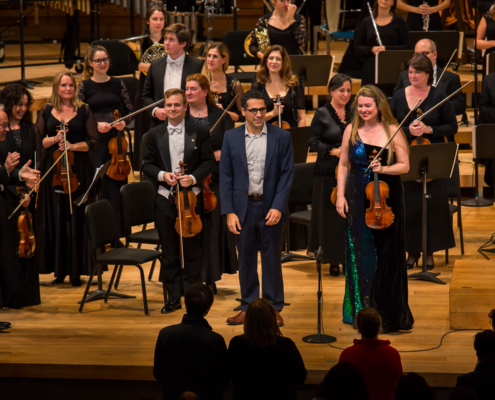 For its first two editions in 2016 and 2018, AMP focused on the discovery and creation of orchestral music that celebrated excellence in new Jewish music. 2020: Chamber Music – Ensembles of up to sixteen (16) instruments, including up to two (2) soloists. 2026: Oratorio or Opera-in-Concert – Symphony orchestra, choir and up to four (4) vocal soloists in either an oratorio or one-act opera-in-concert format. 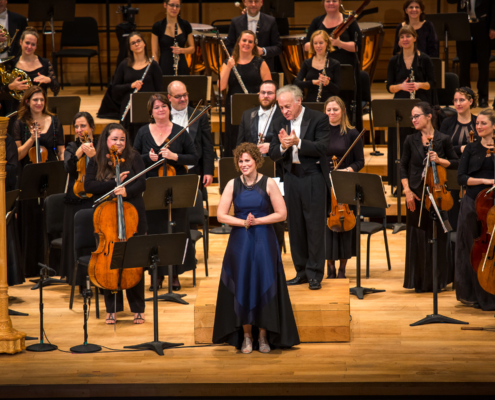 In establishing this cycle, the Azrieli Foundation hopes to give composers longer lead times by which to plan their AMP submissions while also allowing the prize program to enrich both the Canadian and Jewish music repertoires. 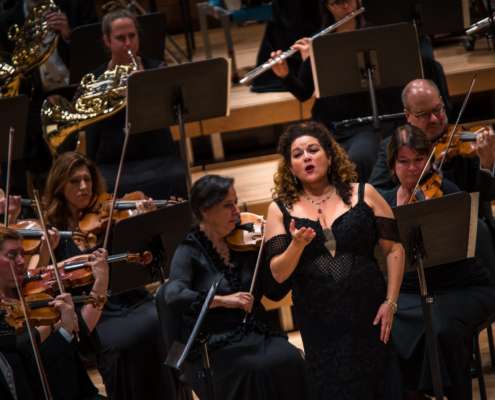 The Azrieli Foundation presents an exhilarating evening of musical discovery, unveiling two world premiere works by the winners of the 2018 Azrieli Music Prizes. The Azrieli Foundation is pleased to announce the soloists for the Azrieli Music Prizes Gala Concert on October 15, 2018 at 8:00 pm at Maison symphonique de Montréal.